ETTA is the modern embodiment of Aphrodite, a maven of romance and an occasional breaker of hearts. 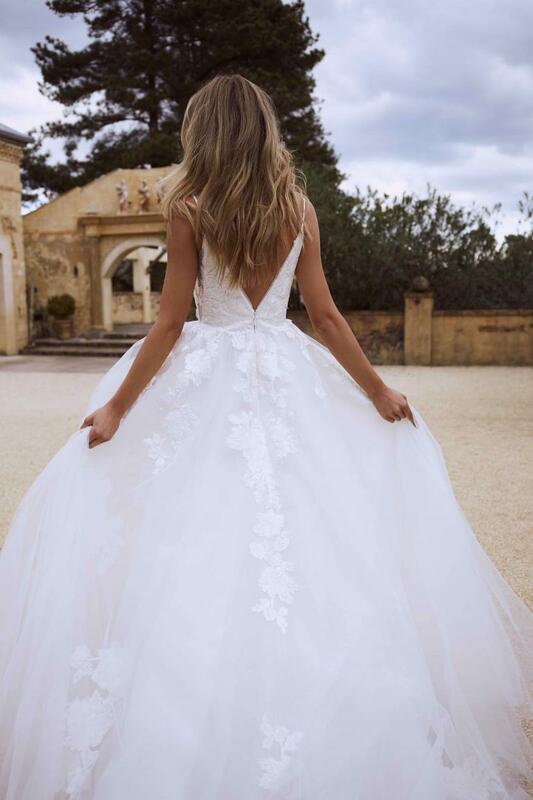 With her thoughtfully modest plunging neckline and narrow low back she conveys a sleek symmetry before erupting into swathes of tulle peppered with bold floral motifs of the softest lace. Her seemingly unending train, while easily tamed, leaves onlookers with little doubt of her bridal majesty and her traditional silhouette serves as an everlasting reminder of what will surely be the most memorable of days.